CARH’s Annual Meeting & Legislative Conference will be held Monday, June 24-Wednesday, June 26, 2019, at the Ritz-Carlton Pentagon City in Arlington, Virginia. The winners of the CARH Scholarship Foundation’s 2019 Scholarships and Rural Development’s Site Managers and Maintenance Person of the Year will be honored during this conference. Click here to download the Registration Form. CARH’s 2020 Midyear Meeting will be held on Monday, January 27 – Wednesday, January 29, 2020, at The Ritz Carlton in New Orleans, Louisiana. The 2019 Harry L. Tomlinson, Member of the Year, and State Affiliated Association of the Year Awards will be presented. 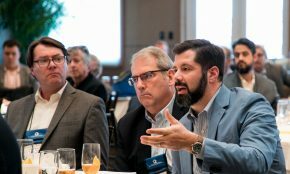 The Carolinas Council for Affordable Housing (CCAH) will host its Annual Meeting on April 28-30, 2019, at the Marriott Grand Dunes in Myrtle Beach, South Carolina. Contact Jill Odom at 919-529-4937 or ccahboard@aol.com for more information. Or, visit www.ccahonline.com. 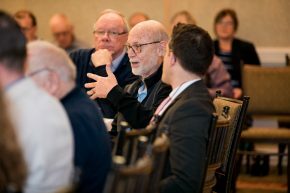 The Virginia Council for Affordable and Rural Housing (VCARH) will host its Annual Meeting on May 19-21, 2019, at The Madison Hotel in Harrisonburg, Virginia. Contact Jill Odom at 919-529-4937 for more information. Or, visit www.vcarh.org. 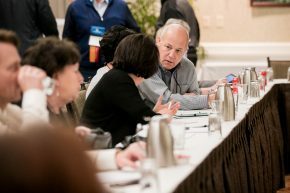 The Alabama Affordable Housing Association (AAHA) will host its Annual Conference on May 22-25, 2019, at the Holton Sandestin Beach Golf Resort & Spa in Destin, Florida. Contact Arrice Faught at 205-331-8668 or arrice@theaaha.org for more information. Or, visit www.theaaha.org. The Rural Rental Housing Association of Texas (RRHA TX) will host its Annual Convention & Trade Show on July 16-18, 2019, at the Waco Hilton/Waco Convention Center in Waco, Texas. Contact Royce Ann Wiggins at 254-778-6111 or office@rrhatx.com for more information. Or, visit www.rrhatx.com. The Council for Rural Housing & Development of Ohio is hosting the Ohio Rural Housing Conference on September 9-11, 2019, at the DoubleTree Cleveland Downtown in Cleveland, Ohio. Contact Pat Richards at 614-470-4260 or office@crhdo.org for more information. Or, visit www.crhdo.org. The Missouri Council for Affordable and Rural Housing (MOCARH) will host its Annual Conference & Vendor Fair on September 30 – October 2, 2019, at the Branson Convention Center in Branson, Missouri. Contact Sonja Bennett at 816-679-4581 or executivedirector.mocarh@gmail.com for more information. Or, visit www.mocarh.org. The Tennessee Association of Affordable Housing, Inc. (TAAH) will host its Annual State Meeting on October 8-10, 2019, at the Embassy Suites in Franklin, Tennessee. Contact Bevery Thaxton at 615-642-3973 or admin@taah.org for more information. Or, visit www.taah.org. 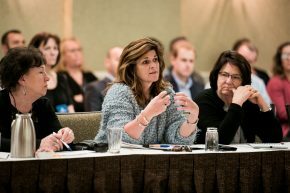 The Michigan Rural Development Council (MRDC) will hosts its Annual Meeting on October 9-10, 2019, at The Soaring Eagle Casino & Resort in Mt. Pleasant, Michigan. Contact Katrina Greeley at 517-347-9665 or kgreeley@mirdc.org for more information. Or, visit www.mirdc.org. 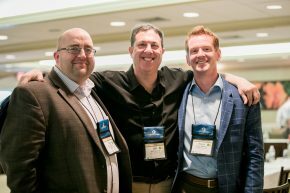 The Florida Council for Affordable and Rural Housing (FLCARH) will host its Annual Conference October 21-24, 2019, at the Sheraton Sand Key in Clearwater Beach, Florida. 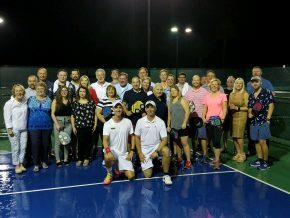 Contact Kevin Flynn at 727-754-8445 or kflynn@flynnmanagement.com for more information. Or, visit www.flcarh.org. The Affordable Housing Association of Indiana (AHAIN) will host its Affordable Housing Conference and Annual Meeting on October 23-24, 2019, at the Embassy Suites by Hilton Noblesville Indianapolis Conference Center in Noblesville, Indiana. Contact Charyl Luth at 260-724-6492 or cluth@inaha.org for more information. Or, visit www.ahainconf.org. 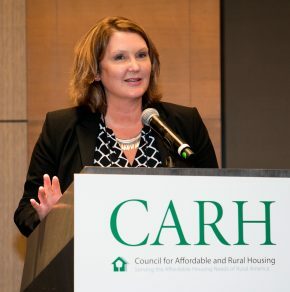 The Minnesota Council of Affordable and Rural Housing (MN CARH) will hosts its Annual Conference on October 25, 2019, at the Mystic Lake Hotel & Casino in Prior Lake, Minnesota. Contact Allison Peterson at 800-944-3078 or mncarh@gmail.com. Or, visit www.mncarh.com. 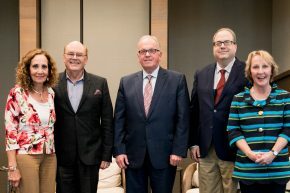 The Wisconsin Council for Affordable and Rural Housing (WI-CARH) will host its Annual Conference on November 7, 2019 at the Kalahari Resort & Convention Center in Wisconsin Dells, Wisconsin. Contact Diane Hamm at 608-427-2300 or info@wicarh.org for more information. Or, visit www.wicarh.org.